The Panaracer GravelKing SK tyres look the part with an old-school brown sidewall colour and aggressive yet road-friendly tread pattern. Image: Nat Bromhead. 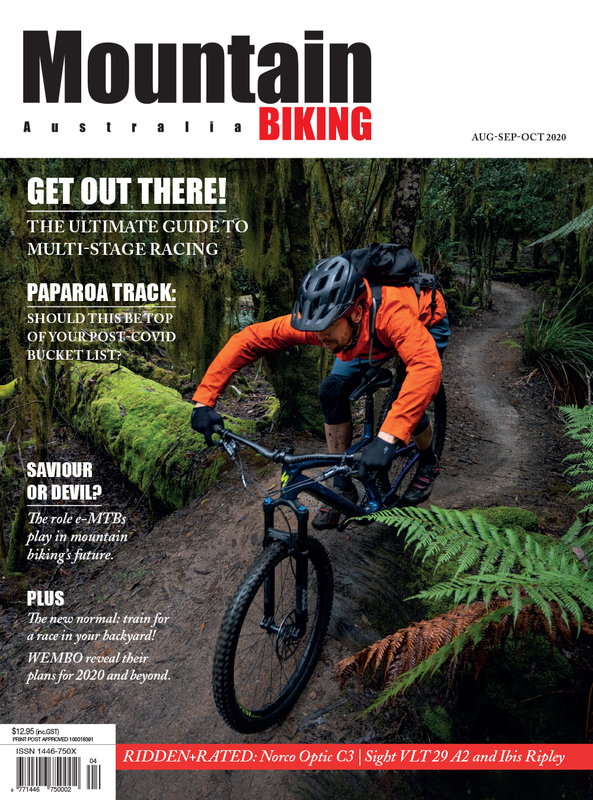 Descending the Sunshine Coast’s mighty Obi Obi range would have to be right up there as one of the ultimate test grounds for gravel bike tyres, except for one problem - getting there. 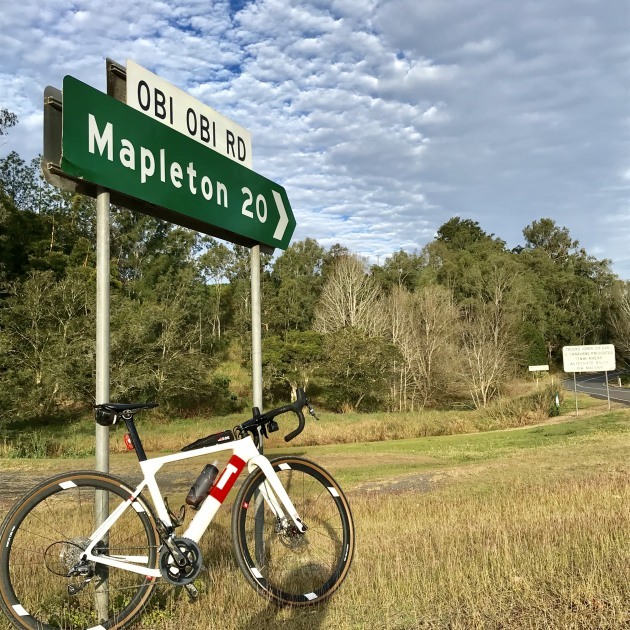 A 13km ride from the dairy town of Kenilworth in the heart of the Mary Valley, gentle undulating roads come to an abrupt end as the daunting Obi Obi climb begins. The right turn when heading to the Obi Obi range from the small dairy town of Kenilworth. Here the road splits - one way up, the other down. Going up the road is fully sealed and a 3km climb that registered on the Garmin at well over 20% in parts. Kudos to any rider who can maintain forward (and upward) momentum to the top without stopping, walking, regurgitating breakfast … or a mix of all the above. We selected this location as the ideal place to review Japanese company Panaracer's GravelKing SK tyres. It was on the steeper sections of the climb the tyres first made their presence heard. Remarkably smooth and particularly quiet on flatter and more open roads, once the climbing began the small knobby tread pattern of the rear tyre could be heard with each turn of the crank. Grip was superb, with loose gravel sprinkled on the outer edges of several of the bitumen corners, there was not a hint of slip. Upon reaching the top a picture break was mandatory, the naturally over-saturated and breathtaking pastoral plains seemed to roll on forever. To the descent, and here’s where the fun began. It’s gravel from the top and the road is cut into the side of the mountain. At over 20 percent in parts, switchbacks abound - left, right, left ... a short straight then right again. Small stones flicked up as the surface varied from loose gravel to shiny, freshly-graded hardened clay. The top of the Obi Obi climb - bitumen up and gravel down. The tyres hung on well. I didn’t push the pedals to the max as an off here would literally be an over the edge experience - I value my bike too highly. But they held tight to the gravel and offered a reassuring and super-comfortable ride. At speed and with the twists and turns straightening near the bottom of the hill is where the Panaracer GravelKing’s showed they were perfectly paired to the test bike, a 3T Exploro ‘GravelPlus’. At speed the seamless transition from loose gravel to smooth blacktop was a dream - suddenly it was out of downhill survival mode and into ‘highway to the danger zone’ time. A quick glance and the Garmin read 65kph as the tyres hummed and clung onto each bend toward the township of Kenilworth. Inflated to 50 of the recommended maximum of 60psi, the tyres performed faultlessly over the thrill-a-minute ribbon of bitumen between the range and the town. Described by Panaracer as a go-anywhere tyre, I was genuinely impressed while reflecting on the ride and peddling those final few kilometres into Kenilworth. A quick photo stop on the way down the Obi Obi. The tyres are tubeless compatible and available in Australia at 35, 38 and 43mm width options. 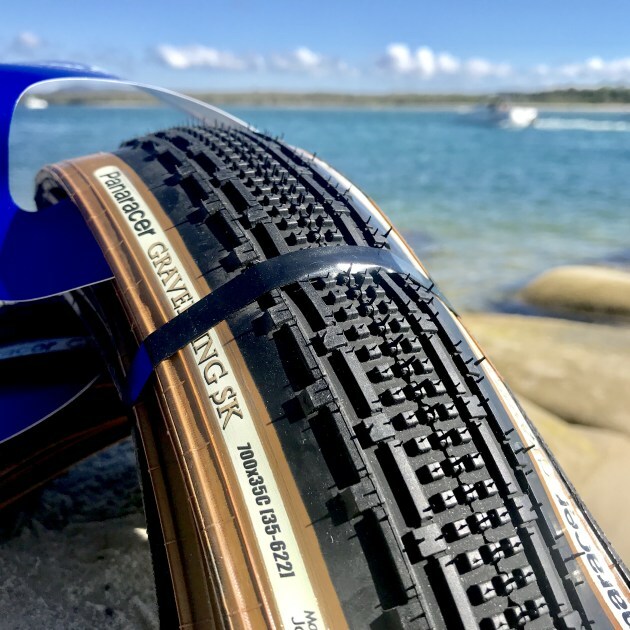 According to the company the secret to their smooth-running success is the compound of ‘ZSG’ natural rubber, with the tyres also featuring a puncture protection breaker and special low rolling resistance outer casing. According to a schematic on the Panaracer website (and there’s no way I’m slicing our test tyres open to prove this!) there’s an anti-flat casing and ‘AX Alpha Cord’ the company say helps in the durability stakes. 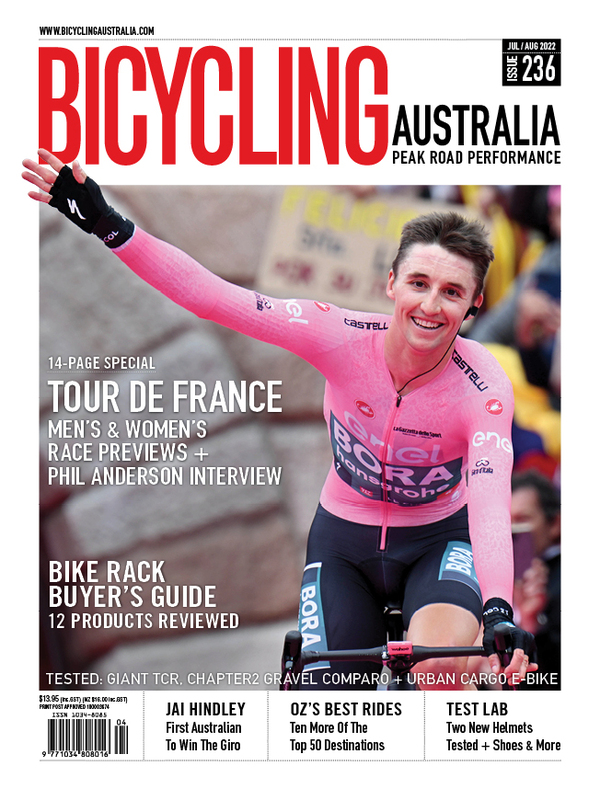 Bicycling Australia tested the Panaracer GravelKing SK's in size 35c. Don’t laugh, but SK is an abbreviation of ‘Small Knob’ - the tyres consisting of numerous centrally located small square knobs. Along the sides of the tyre - almost in ‘ready when needed mode’ are longer rubber blocks which are there for rockier and even light mud conditions. So far, over the test period, signs of wear are extremely minimal and the tyre is proving itself a genuine and very impressive all-rounder. 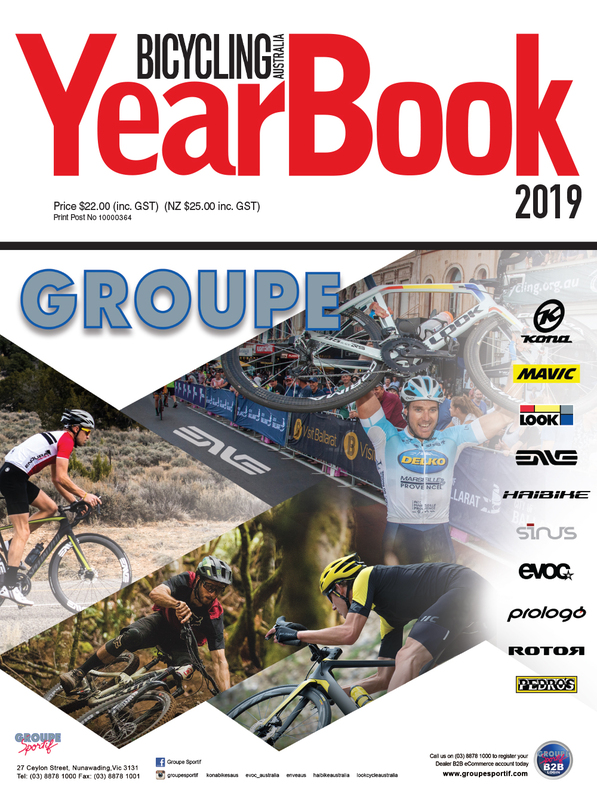 In fact, I’d go so far as to say they are a joy to ride and a tyre you will look forward to partnering with for all your gravel exploits. 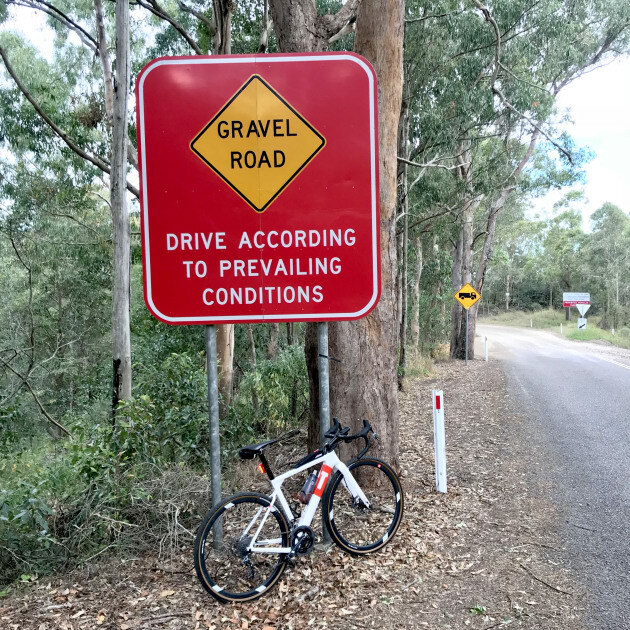 With the gravel market booming and a marked increase in the popularity of a versatile road bike that can easily switch from road to gravel and light trail, the Panaracer GravelKing SK’s fit the bill perfectly. They are priced at around $70, weight in at 400grams and, according to Australian distributors SCV Imports, are proving an incredibly popular choice. 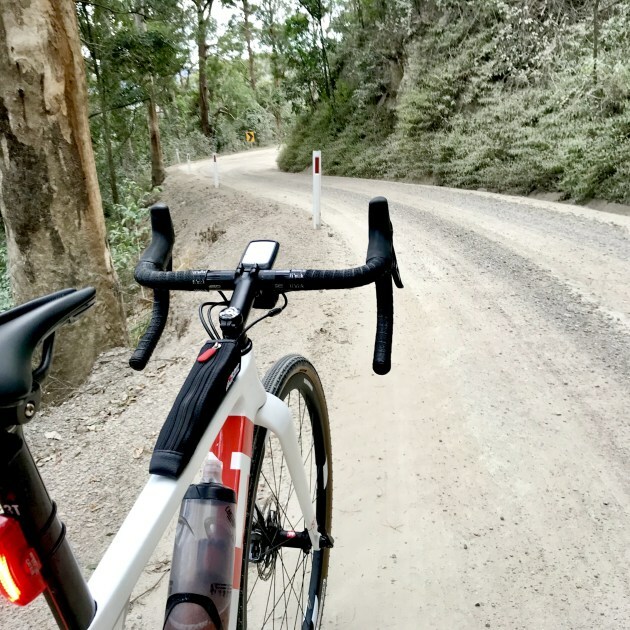 The picture-perfect Kenilworth region of the Sunshine Coast hinterland offers virtually endless options for road, gravel and trail riders. A great looking tyre with the brown gumwall finish - and that beauty is way more than skin deep. A solid-performer, perfect for riders looking for around a 60/40 gravel/ road split. Super smooth and low rolling resistance on the road when used at 50 - 60psi, superb grip, comfort and handling when used on gravel at 30 - 35psi. Very Impressive.